Uh, what?! Vegan sausage? I’ve never liked “imitation” meats as they make you expect the exact same taste as meat and always leave you less than fulfilled. Well, this recipe is actually really good. 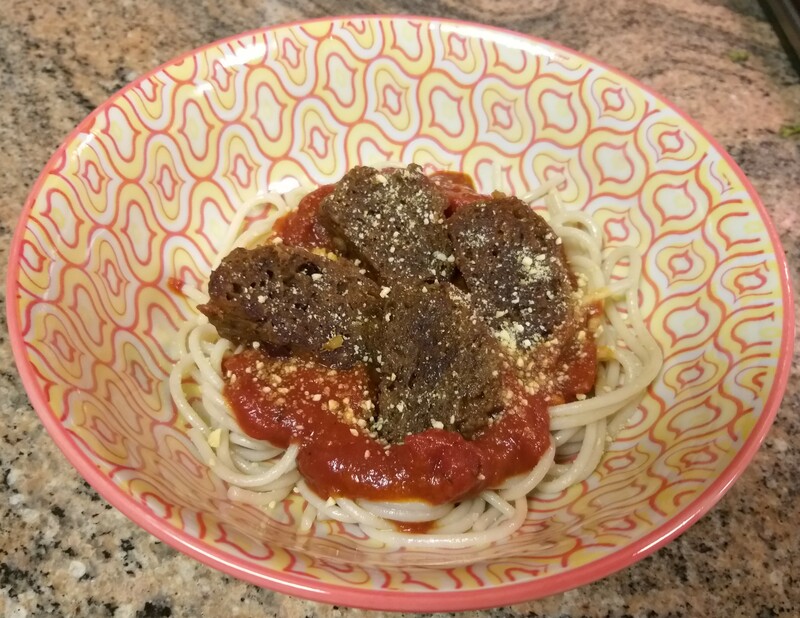 This recipe came from a friend and is absolutely delicious. It is not super spicy though so feel free to increase the cayenne to make that tongue burn if you wish. Super satisfying especially when you add it to a jambalaya-influenced delight! 1 tablespoon crushed tomatoes. I love jovial brand. Don’t have crushed tomatoes? Tomato paste will work as well. In a large bowl, place the cooked beans and mash with a fork until fairly smooth. Add all wet ingredients as well as salt and spices (vegetable broth through red pepper flakes). Mix well. Slowly add the nutritional yeast and vital wheat gluten to the bowl mixing well as you add. A nice dough will form. Knead the dough for two minutes and then form into 5 or 6 equal size balls. Stretch and roll each ball to form into 5 to 7 inch sausage shape “logs”. Form into 7 to 10 “logs”. Fill a pressure cooker with about an inch and a half of water, place a steamer basket inside, and layer the seitan “logs”. Cover, bring to pressure and cook for about 50 minutes. Remove from heat and let pressure come down. Remove the sausage from the pressure cooker and slice into rounds. Create the finishing sauce by mixing the soy sauce and water and set aside. Heat a large skillet over medium flame and when the pan is warm to the touch, add olive oil followed by the sliced rounds. Slightly brown each side of the seitan (takes about a minute or two per side). 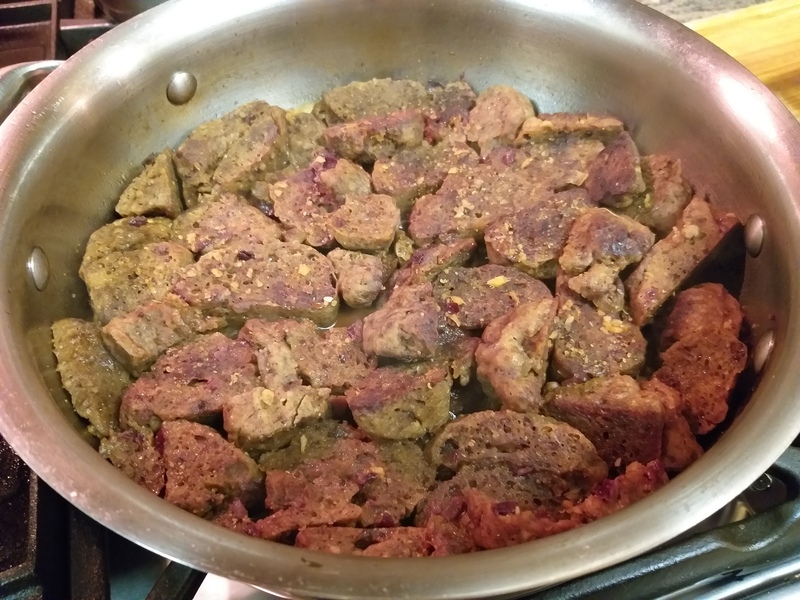 After both sides are brown, pour the finishing seasoning into the pan, bring to boil and then simmer for 10 to 15 minutes until the majority of the liquid is either absorbed by the seitan or boils off. This dish will keep very well for several days. Enjoy!